If you're looking for privacy and a place to get away from the craziness of city life, you'll love this 1632 SF home (2791 total under roof) on 22 acres within 15 minutes of Defuniak Springs & within an hour to Panama City Beach and the Beaches of S Walton. Long, private drive to home tucked away at the very back of property. 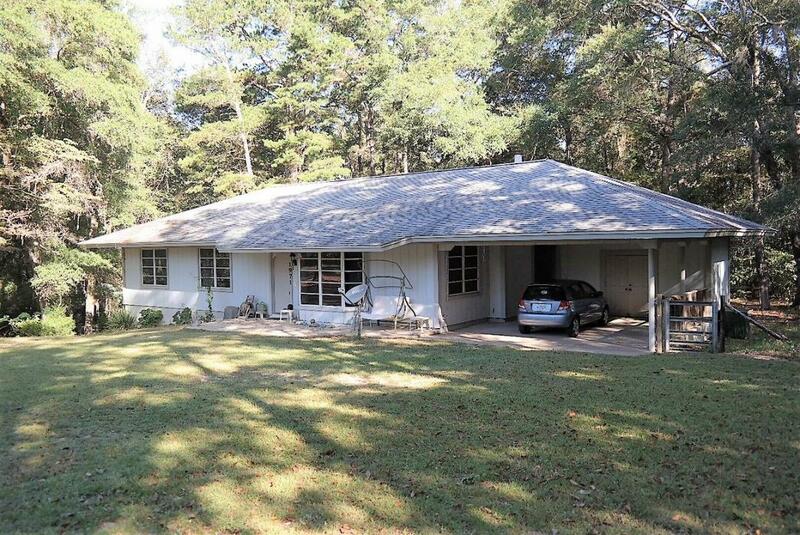 Open floor plan with 9+ ft ceilings, fireplace, 14x30 screened porch, 2 car carport and 10x16 utility room off carport. Off the screened porch, is a gazebo with fire-pit. For the hunter/nature lover, deer and other wildlife abound. Due to this home never having central heat and air, very limited financing options, but will qualify under the Fannie Mae Renovation Loan with 5% down.